If you have copper pipes in your multi-unit Chicago building, you probably know that they last upwards of 50+ years, but did you know that under the right conditions, they may start to develop pinhole leaks in as little at 10 years? The number one reason copper pipes develop seemingly premature pinhole leaks is due to the composition of the water flowing through the potable water plumbing system. Ideally, the water flowing from your municipal water system should have pH values between 6.5 and 8.5, according to the Water Research Center. Neutral water has a pH of 7. Acidic water is considered anything below 7, and basic water is considered anything above 7. When the potable water flowing through your plumbing system has a pH value that is less than 6.5, it can harm your copper water pipes. As the water moves through your copper pipes, it causes internal pitting of the pipe. Once those pits penetrate entirely through the copper, a pinhole leak develops. At the 10-year anniversary of the installation of your copper pipes, pinhole leaks may already be present. However, the leak may not be large enough to be easily noticeable, especially if the pipes are hidden behind walls, and they only produce a very small drip. 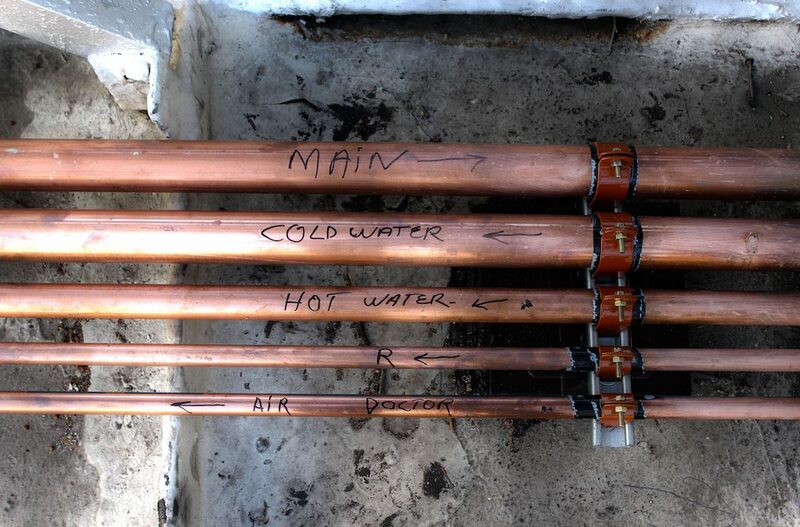 In order to determine if you have pinhole leaks in your copper pipes, it’s important to have them inspected regularly. For pipes located in the basement, you can have your maintenance team examine the pipes for signs of corrosion. This usually appears on the outside of the plumbing pipes as a blue-green stain. If there are blue-green stains present, no matter how small, you have leaks in your copper pipe. If your building does not have a basement, or you don’t have any copper pipes located in easily accessible areas, you may have to call a Chicago plumber to inspect your pipes. Plumbers can visually inspect pipes with camera inspections, and they can pressure test water systems to determine if there are any leaks. Here at Nu Flow, we perform building pipe assessments in order to determine the age and condition of your plumbing pipes and if they would benefit from an epoxy liner or coating. If an inspection or the presence of staining on your copper water pipes leads you to believe that you have pinhole leaks, epoxy coatings may be able to help you. Epoxy coatings are blown through potable water pipes in order to completely coat the internal surface of the pipe. This fills small leaks and prevents water from coming in contact with the metal of the copper pipe, which means it will seal pinhole leaks, stop further corrosion and extend the useful life of your potable water pipes. 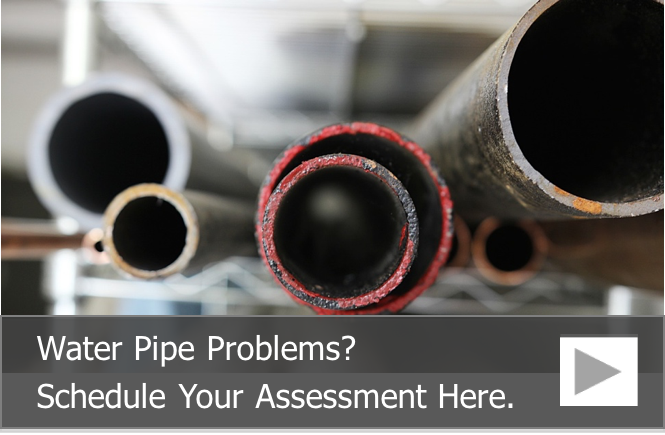 To learn more about the pipe lining process and to schedule an estimate or a building pipe assessment, call us at 815-790-9000.